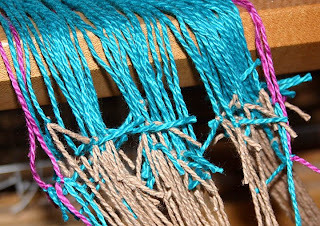 and one special knot equals 240 new warp threads tied on and ready to weave. I want to make a set of towels using the same threading as the pattern gamp I just finished. 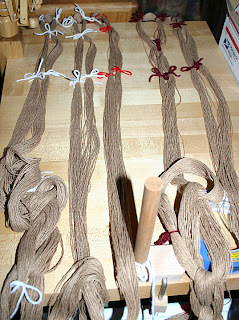 Rather than starting again from scratch, I tied the new warp on to the old one. 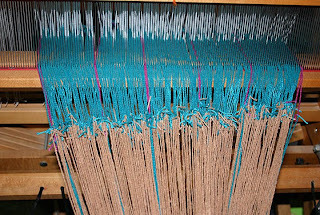 Looking back at how long it took to put the first warp on, I think I saved about three hours doing it this way. Plus, it's brainless and almost mistake proof. Now, on to weaving!